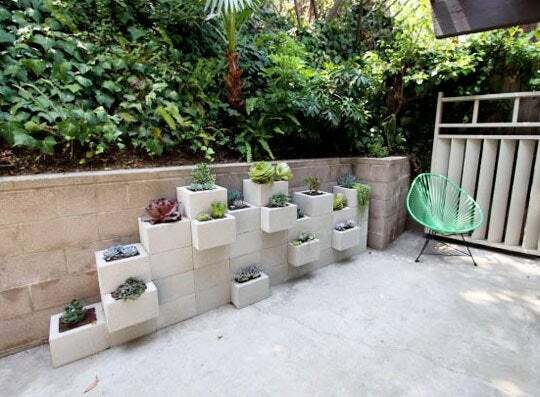 Annette (from outdoor living and garden shop Potted) came up with this brilliant, inexpensive wall planter feature, which gives plenty of visual interest to a standard cinder-block dividing wall. The project uses Liquid Nails to hold everything together, which means no mixing of mortar or masonry skills required. 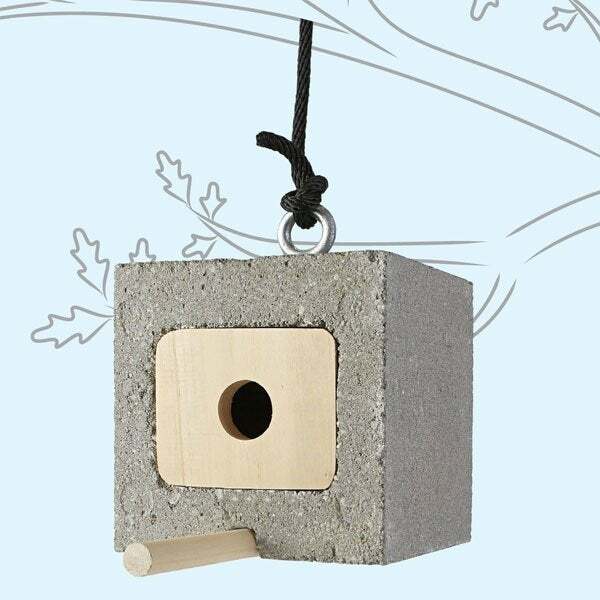 Lowe’s Creative Ideas shows how to use the empty space within a cinder block to create a little living space for your avian friends. If you’re interested in raised bed gardening and are planning to stay in your home, building your beds from cinder block (rather than wood) may prove a wise investment. A cinder-block bed will last for decades and provides a rigid structure that you can sit upon while tending and harvesting. 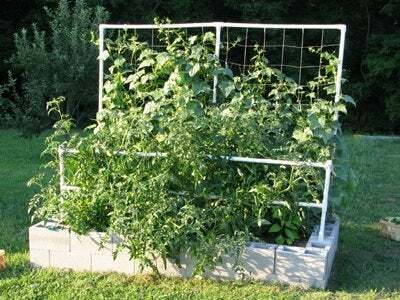 Plus, the open structure of the cinder blocks allows for easy insertion of stakes, trellises, and other supports. 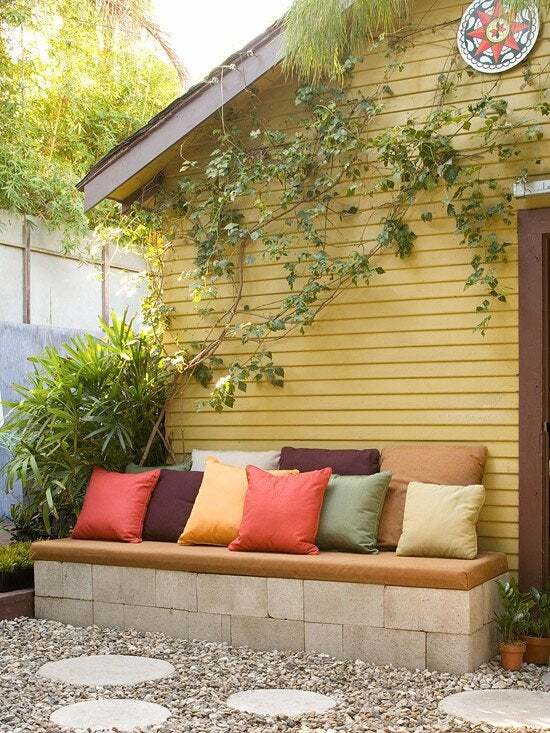 For only $30 this homeowner created an outdoor room feel using a cinder block base and outdoor fabric—no masonry or mortar required, but a seriously functional, attractive space for very little money. 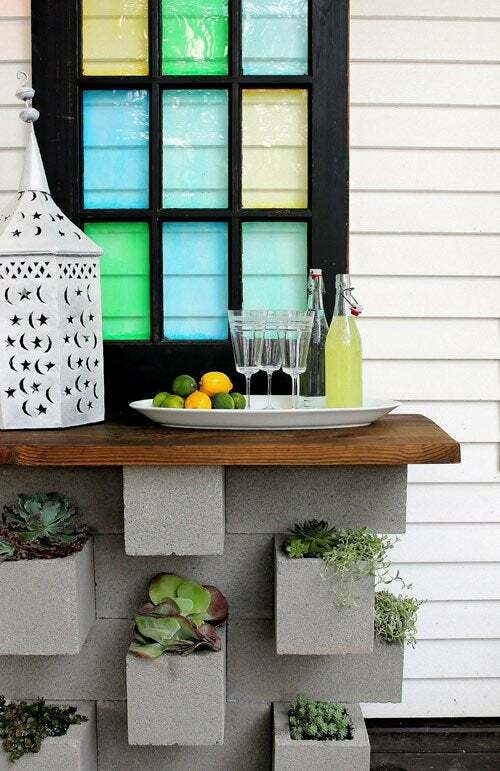 Kristin was inspired by Annette’s planter wall above but shortened the scale and added a solid wood top to make an outdoor bar and counter space, perfect for dining out on the porch and entertaining.